To claim this profile, please confirm you are Tamia Morris. To follow this profile, please let us know your relationship to Tamia Morris. Tamia's basketball stats have been updated for the loss vs. Southeast Guilford. RESULTLoss Girls varsity basketball vs. Southeast Guilford. The E.E. 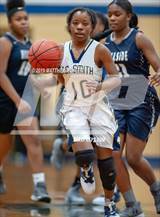 Smith varsity basketball team lost Saturday's neutral playoff game against Southeast Guilford (Greensboro, NC) by a score of 62-59. Tamia's basketball stats have been updated for the win vs. Hillside. RESULTWin Girls varsity basketball vs. Hillside. The E.E. Smith varsity basketball team won Tuesday's neutral playoff game against Hillside (Durham, NC) by a score of 63-45. Tamia had 1 photo tagged from the game against Hillside. Tamia's basketball stats have been updated for the win vs. Person. RESULTWin Girls varsity basketball vs. Person. The E.E. Smith varsity basketball team won Saturday's home playoff game against Person (Roxboro, NC) by a score of 81-49. 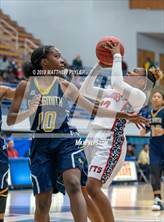 Tamia's basketball stats have been updated for the win vs. Rocky Mount. RESULTWin Girls varsity basketball vs. Rocky Mount. The E.E. Smith varsity basketball team won Thursday's home playoff game against Rocky Mount (NC) by a score of 67-26. 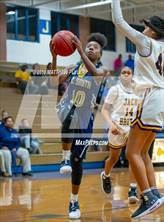 Tamia's basketball stats have been updated for the win vs. Westover. RESULTWin Girls varsity basketball vs. Westover. The E.E. Smith varsity basketball team won Tuesday's home playoff game against rival school Westover (Fayetteville, NC) by a score of 64-24. The E.E. Smith varsity basketball team won Friday's home tournament game against Terry Sanford (Fayetteville, NC) by a score of 68-50. Tamia's basketball stats have been updated for the win vs. South View. RESULTWin Girls varsity basketball vs. South View. The E.E. Smith varsity basketball team won Thursday's home conference tournament game against South View (Hope Mills, NC) by a score of 67-27. Tamia's basketball stats have been updated for the win vs. Douglas Byrd. RESULTWin Girls varsity basketball vs. Douglas Byrd. The E.E. Smith varsity basketball team won Tuesday's home conference tournament game against Douglas Byrd (Fayetteville, NC) by a score of 60-16. 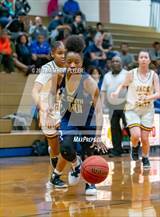 Tamia's basketball stats have been updated for the win vs. Terry Sanford. The E.E. Smith varsity basketball team won Friday's home conference game against Terry Sanford (Fayetteville, NC) by a score of 63-43. 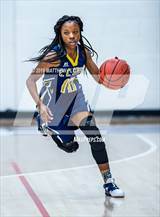 Tamia's basketball stats have been updated for the win @ Cape Fear.